MR Direct Two Day Shipping. 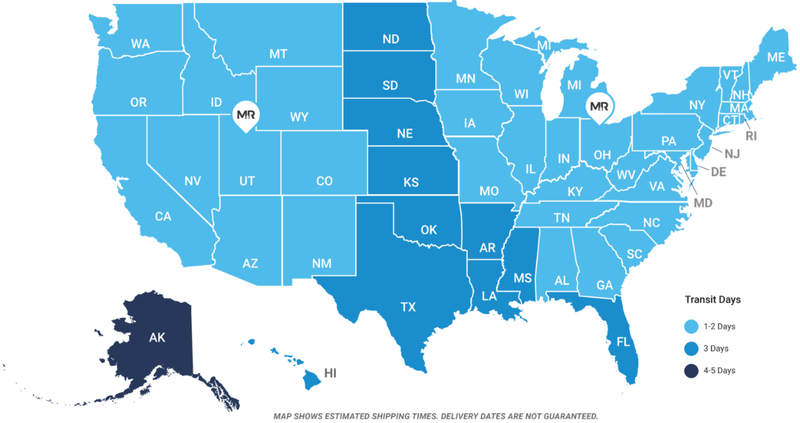 We’re fast-tracking all orders at no extra cost so you can get the job done quicker. 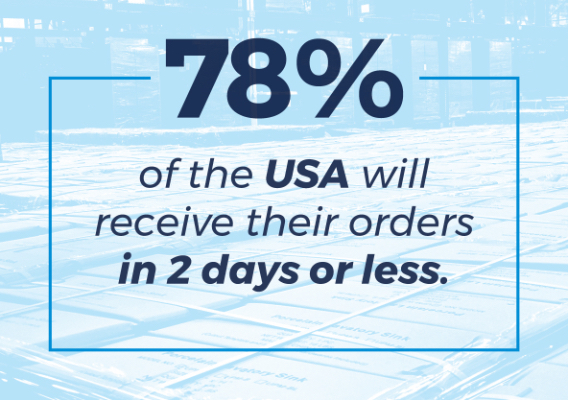 We’re fast-tracking all orders at no extra cost. You work on tight schedules and you need your orders quick. With the recent opening of our newest distribution center, the vast majority of the USA will be receiving their orders in just two days! * Deliveries to Alaska may take up to five days.